The holiday season is just around the corner, and we all know it’s all about spreading love, laughter, and joy. 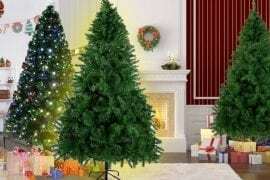 Christmas is also the time of giving, and we all love getting gifts and presents for our family, relatives, and friends. But each year, we find ourselves in a bit of a dilemma; what exactly should you get? We can’t just buy ties and socks each year, now can we? We have to be a bit creative. At this point, we’re all in need of gift ideas and whether they’re worth spending the money and getting for our loved ones. Mentioned below are some of the top 10 Gift ideas for Christmas in 2019. 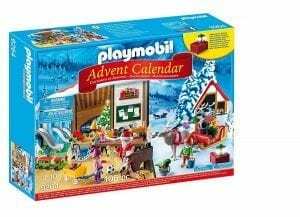 The Playmobil Advent Calendar helps kids count down the 24 days to Christmas with a special holiday-themed Playmobil toy to reveal behind each of the calendar’s 24 doors. Along the way, they’ll uncover Playmobil figures, accessories, and mini playsets. It is a high-quality product with figures that can bend, sit, stand and even turn their heads without breaking. It is an already pre-assembled product that consists of a sheer variety of goodies hidden within that sparks curiosity in children as well as teach patience to wait until the next day to open a new door. Being easy to use, it helps keep the children occupied. 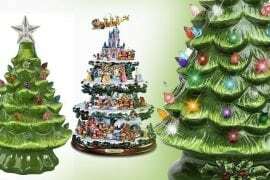 Playmobil introduces a new Advent calendar each year with a new scenario which means it can turn into a Christmas tradition. These Advent calendars include a backdrop that allows children to have a creative role play, promoting imagination and creativity and thus child development. It encourages children to explore and learn while having fun. These Advent calendars are fun as well as pocket-friendly and can be great presents for children during the holidays. Instant film has made a significant comeback in recent years. Polaroid cameras and their ability to produce photographs seconds after a picture was snapped have always sparked people’s interest in them. It provides a physical picture faster than a digital camera, in some cases, within seconds. Polaroid cameras are also able to take excellent photos that have a dreamy and ethereal look to them. Some people also like Polaroid cameras due to of the nostalgic, vintage touch to the images. The fact that these cameras allow real pictures to be handed to people who need them instantly is a very appealing property of the Polaroid cameras, in addition to the photos not requiring any further retouching. All of this ensures instant gratification to the user. 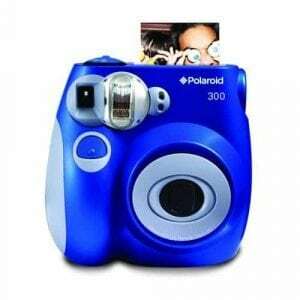 Moreover, Polaroid cameras assuring privacy as the users do not have to send the film out to be processed. During the holidays when all family and friends get together, a Polaroid camera could be of great use, clicking pictures of the special moments and handing them out to the people at the very spot. Furthermore, it can serve as a great gift also for our loved ones who’re into photography; this gift could be beneficial to them. 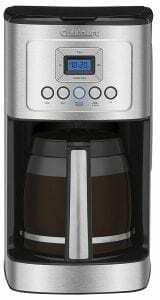 This Cuisinart Coffee maker is one of the most trusted home appliance brands with many different products available on the market, including coffeemakers. Cuisinart has a range of many different models of coffeemakers with variable prices for each so that it suits the buyer’s budget without having to compromise on the features, making it pocket-friendly. The coffeemakers come in sturdy, stainless housing including several different functions such as programmability, temperature and strength control. The programming function provides the convenience to brew a coffee automatically at a set time daily while the strength control function allows the flavorful extraction from coffee beans according to one’s taste, making it strong or light. It also consists of a powerful heating element power together with a gold-tone, commercial style permanent filter. It even allows brewing other blended drinks as well such as hot cocoa while the hassle of cleaning is more or less non-existent due to its auto-clean function, making it low maintenance. Despite having so many functions, it is still quite easy to use and has a solid build quality. Flowering tea is one of the most elegant forms of loose-leaf tea. 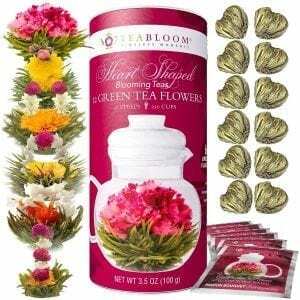 Teabloom products are said to delight the senses with its exquisite flowering teas. 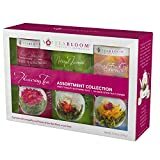 This tea bloom tea set has premium quality tea that is fully organic, healthy and refreshing with no GMO’s added to it. There is a vast variety of fruit, and floral tea included within the package which is equivalent to many different flavors to enjoy. Along with being healthy, it is also great to watch the flowers bloom in the kettle while on the boil with its wonderful aroma diffusing across the entire room. This tea set can make about 750 cups of tea while each flower can be reused at least three times. Moreover, it also has a long shelf life. With its gorgeous packaging, it makes a perfect gift. It also contains 3 canisters which means it can be given as one big gift or split into three different gifts. 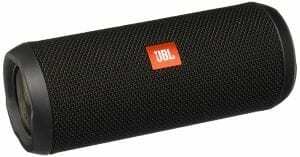 JBL is an American audio electronics company. Its primary product is speakers including all other sorts of electronic gadget such as headphones, soundbars, home theatre systems, etc. 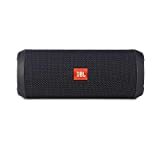 JBL splash-proof Bluetooth speakers make a good gift for tech geeks or people who’re into music. This Bluetooth speaker is small and portable as well as lightweight with a streamlined body making it handy and easy to carry. It requires no carrying case as it has a fabric and rugged rubber housing, making it very durable. It also features a rechargeable battery that lasts for up to 10 hours. Despite being small, it plays quite loud because of ample bass. The main feature of this JBL Bluetooth speaker is that its splash proof which means it can resist small splashes of water, hence no more worrying about the rain! To protect the USB port and audio inputs, it consists of a cover flap as well. 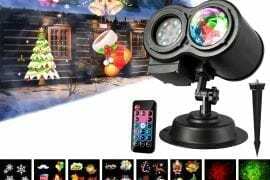 It makes use of the Bluetooth 4.1 technology and can connect to about 3 devices at a time that is within a wireless streaming range of 33 feet or 10 meters. In addition, it also has built-in noise and echo-canceling speakerphone. To cater to everyone, it is available in 7 different colors. The Beatles are the most famous English bands of all times. They are believed to be the first ones and the most influential bands in the rock era. The Beatles are undoubtedly an essential part of the music culture and an equally prominent fixture in the life of most of us. This Beatles yellow submarine lava lamp makes Regarding gift for all those die-hard fans of the Beatles all over the world. It comes in a classic lava lamp shape with glass globe housing. The globes are hand painted with 2-3 colors and feature silk-screened logos. It also has a metal base with a matching cap with both the bases and caps having colored decals featuring artwork from the album covers. A variety of different lamps with different album cover artworks allows the buyer to pick out a lamp according to their favorite album. 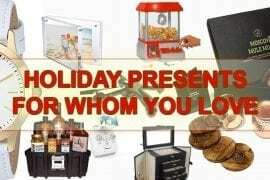 This makes it an even more special gift that ensures happiness and excitement for the receiver. Along with that, it comes in two kinds of liquids, one being clear while the other a silver star glitter liquid. A 25-watt incandescent bulb is also included. With slow moving bubbles, it is soothing to watch and is suitable for home, rooms, and offices. Fine wine right after or during dinner is enjoyed by all and is considered a necessity during family gatherings. For all the wine bottles, a wine rack is often required to hold all those bottles. 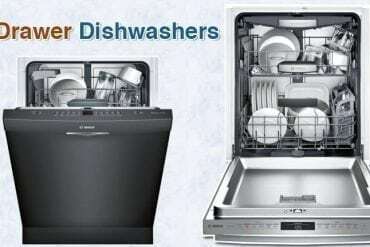 Kings Brand is said to have a range of many different home and kitchen products, including beds, tree coat hangers, floor mirrors as well as kitchen cabinets, kitchen carts, etc. It also includes wine storage organizer displays. They usually have a black metal body, with different intricate designs all around the rings that are supposed to hold the bottles as well as a marble flux finish top rack table that gives it an extra edge and makes it look attractive and pricey. 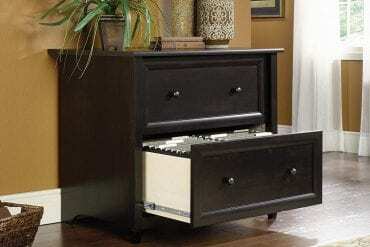 Along with that, they are also not too big and occupy less space, and being a perfect height makes it fit to be placed in the hallway, dining room, the kitchen or even at the office. 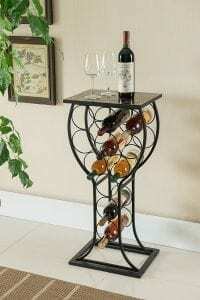 It can also be a great conversation piece because of not being a plain and ordinary wine rack. It is easy to assemble and is sturdy with a maximum capacity of 15 bottles at a time. Kings Brand furniture ensures that a variety of different sizes of these wine storage displays are available for its consumers that suits their needs. The Aromatic Elixir is nearly 45 years old, and there is always someone in the family who has been using it for years, and it is their daily, go-to scent. Aromatic Elixir by Clinique has a warm, floral, crisp oakmoss fragrance that is powerful, yet not too overwhelming or fruity. Being a powerful scent, it can even be a signature fragrance for people as it can gradually spread all around you, be it a room, a car or the clothes hanging in one’s closet. 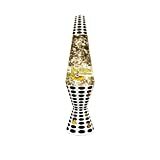 It comes in a classic shaped bottle filled with a beautiful champagne colored liquid inside. This is a high-quality product that has long lasting power which means one spray is sufficient throughout the day. This perfume has a woody, earthy scent and is considered a sort of like a warm, cozy wintery aromatherapy fragrance that qualifies it as a perfect gift for the ladies during the cold Christmas season. Soulsfeng fashion masters in ‘techwear’ that is a balance between functionality and design. They ensure that quality yet affordable technology-based clothing is supplied to the consumer. Soulsfeng shoes are made from breathable, polyester fabric that keeps the foot comfortable and dry. It ensures comfort with its 3D TPU Printed Midsole that adapts itself to the pressure points on the feet, as well as its 3D Printed Knit Upper that consists of tough, thin wires to allow flexible movements of the foot while providing a cushioning effect. In addition, it also has a non-slip rubber sole and is also skin-friendly which means it is hypoallergenic. Being relatively cheap yet high quality, Soulsfeng shoes come in many different colors, designs, and sizes. 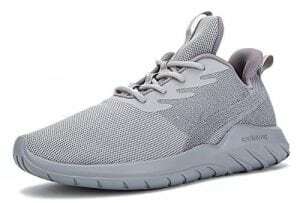 They can easily become go-to shoes for all looks and are suitable for sports and casual wear; both indoors and outdoors. Sheepskin rugs have been around for ages and give off a classic feel. 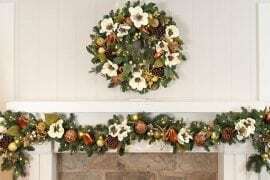 They can be placed next to the bed, in front of the fireplace or anywhere one wants a cozy feel. WaySoft Sheepskin rugs are made from 100% genuine wool from New Zealand. It makes a fantastic gift for the cold holiday season as it is extremely soft and provides a warm, cozy effect to the room. In terms of durability, it consists of microfibers that ensure it lasts for several years if provided with proper care and maintenance. 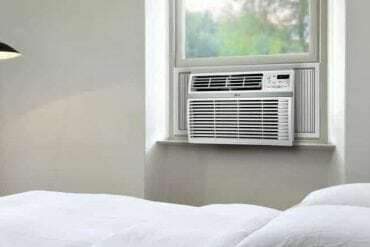 However, it is quite low maintenance as well and can be easily combed out and dry-cleaned or machine-washed and hung up to dry. Natural sheepskin is resistant to flames and static electricity. 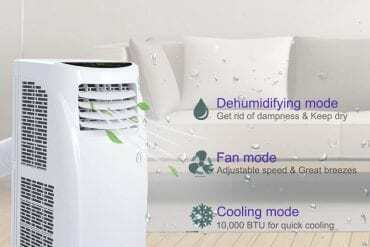 To ensure it remains clean and germ-free, it comes with a built-in antimicrobial protection that individually sanitizes against germs and bacteria and is guaranteed to be hypo-allergenic and non-toxic. WaySoft sheepskin rugs are available in a variety of sizes and colors. 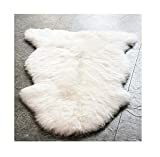 There are single or double sheepskins available according to the consumer’s need. They are suitable for draping over chairs, under beds, for naps or meditation or even as a play rug, all the while providing an overall luxurious touch to the house.